My holiday blog job has been keeping me busy to say the least. I’ve been posting over there daily since November 1st. This weekend, I’ve added two tutorials that my like-minded, creative friends might enjoy. 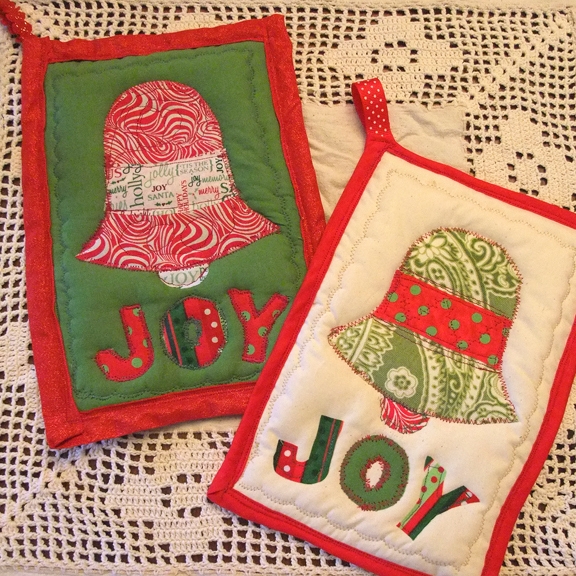 You can make my original JOY potholder by clicking here. 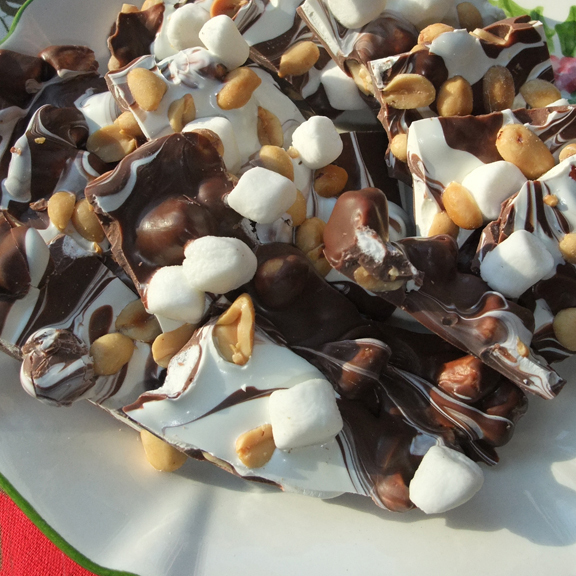 You can also check out my step-by-step recipe for Rocky Road Bark candy by clicking here. Why save the best for afterwards? 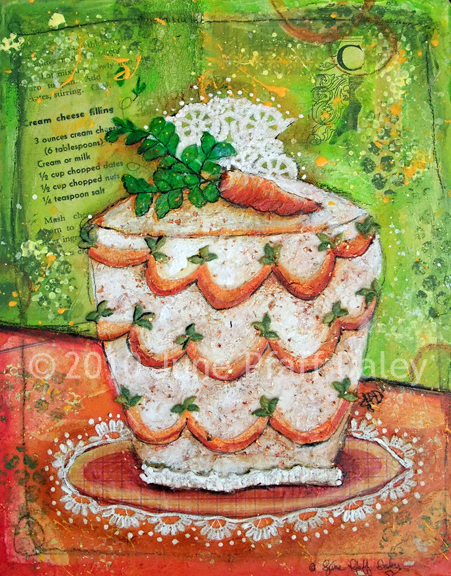 Since carrot cake includes veggies is it a dessert or a healthy side dish? I’m going to argue for side dish and/or breakfast alternative. Those of you who have been hanging out here for awhile might recognize my Thankful Checklist placemat. 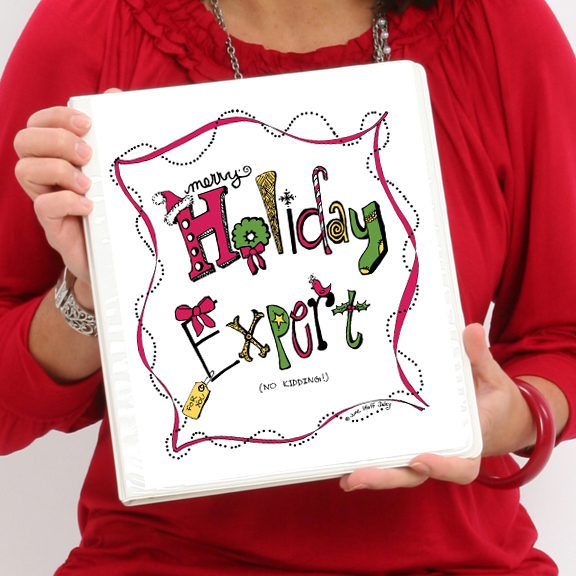 I originally created this for my kids to color and check on Thanksgiving day while the turkey was roasting. I wanted to make sure they really understood why we celebrated the holiday. Sure we tell our kids constantly that they have lots to be thankful for—health, a roof over their heads, food on the table—but there is so much more. Even us adults sometimes need to be reminded how awesome “a cozy blankie” really is. Here’s the latest version I created for this Thanksgiving, but perfect for any day of the year. And if you don’t check brussels sprouts that’s okay. I’m more of a french fry girl myself. A couple of posts back, I alluded to big new of some sort. Well here it is. Last month, I entered a contest that called my name. GGP (General Growth Properties…owner/developers of about 200 shopping malls across the country) were looking for a creative sort to write a daily blog about all things holiday from November 1st until December 31st. I was having one of those days with an extra hour or two (kind of like here) and thought, “sure, why not?” I went to work on all the submission material they requested and the rest is history. You can read more on the Merrier Shopping blog were I’ll be writing every day until the new year. You’ll want to check it out as I’ve come up with a binder system to organize the holidays with free printables for gift lists, baking and more. I’ll also have holiday related posts including gift ideas, crafts, recipe exchanges, fabulous giveaways and stress checks to keep the season merry. Just so you know, I’ll still be posting over here too. Certainly not “daily posting” unless my cloning machine comes back from the repair shop. I have no idea what’s taking them so long. 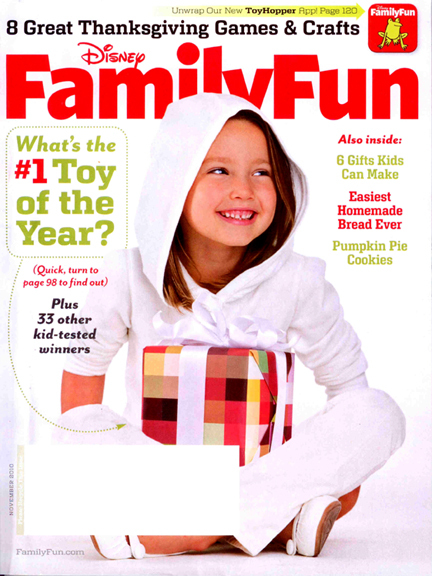 All images, text, and content on this site are the sole property of June Pfaff Daley and may not be used, copied or transmitted without written consent. If you wish to link this site please give appropriate credit and contact me.